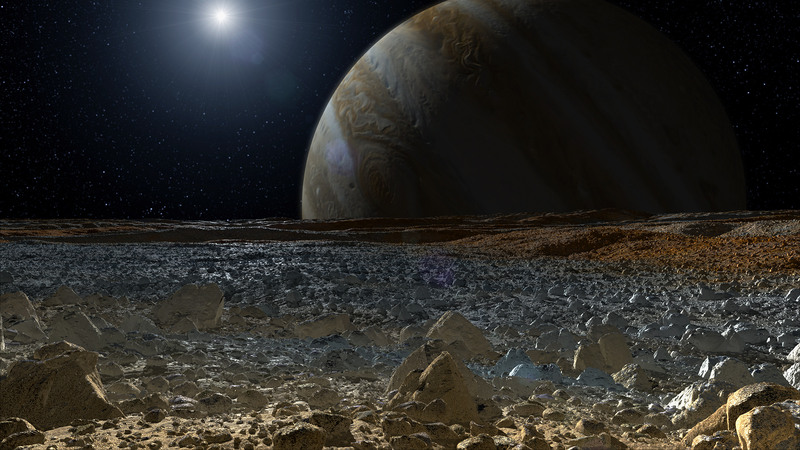 What would we want to know if we landed on Jupiter’s Europa? Most of what scientists know of Jupiter’s moon Europa they have gleaned from a dozen or so close flybys from NASA’s Voyager 2 spacecraft in 1979 and NASA’s Galileo spacecraft in the mid-to-late 1990s. Even in these fleeting, paparazzi-like encounters, scientists have seen a fractured, ice-covered world with tantalizing signs of a liquid water ocean under its surface. Such an environment could potentially be a hospitable home for microbial life. But what if we got to land on Europa’s surface and conduct something along the lines of a more in-depth interview? What would scientists ask? A new study in the journal Astrobiology authored by a NASA-appointed science definition team lays out their consensus on the most important questions to address. The paper was authored by scientists from a number of other NASA centers and universities, including the Johns Hopkins University Applied Physics Laboratory, Laurel, Md. ; University of Colorado, Boulder; University of Texas, Austin; and the NASA Goddard Space Flight Center, Greenbelt, Md. The team found the most important questions clustered around composition: what makes up the reddish “freckles” and reddish cracks that stain the icy surface? What kind of chemistry is occurring there? Are there organic molecules, which are among the building blocks of life? Additional priorities involved improving our images of Europa – getting a look around at features on a human scale to provide context for the compositional measurements. Also among the top priorities were questions related to geological activity and the presence of liquid water: how active is the surface? How much rumbling is there from the periodic gravitational squeezes from its planetary host, the giant planet Jupiter? What do these detections tell us about the characteristics of liquid water below the icy surface? This article appeared in the October 2013 issue of RocketSTEM.